Pop! A balloon bursts in room 505. Whose birthday is it? What's the celebration? Will there be cupcakes? These were the questions that I got from my sweet afternoon class of 5th graders when they heard about our balloon popping extravaganza with my morning class. It wasn't anyone's birthday and sadly there were no cupcakes(note to self...maybe I should add those next time! ), but there sure was a lot of laughter and high engagement from my students. Asking and Answering questions is an exciting skill and one that plays an important role in reading comprehension for our kiddos of all ages. 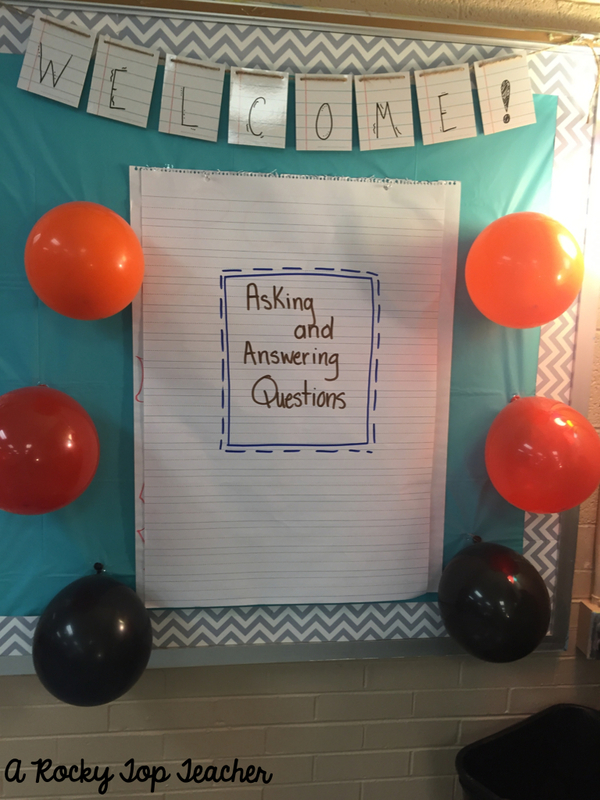 When I heard about my sweet second grade teacher friend using balloons to strengthen this skill in her classroom, I kindly asked for permission to borrow this idea and adapt it to meet the needs of my fifth graders. 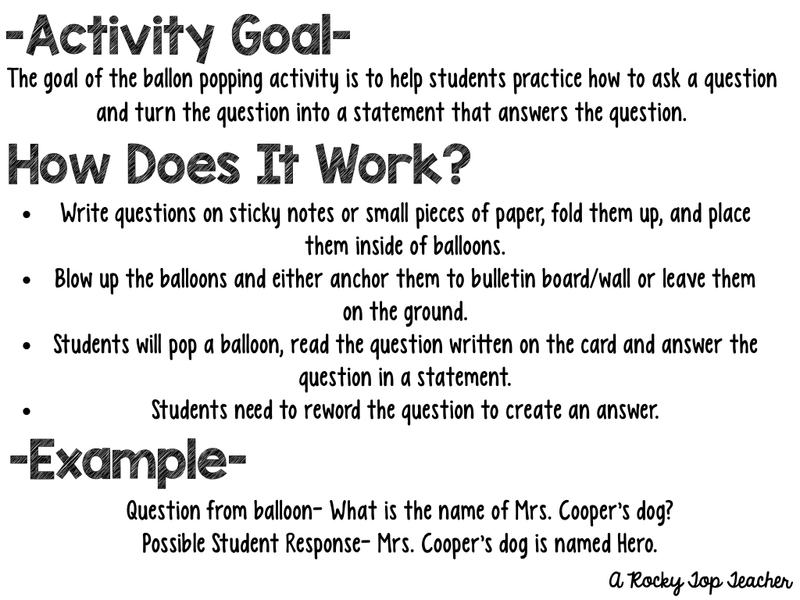 You can use this balloon idea for a million different activities, but my kiddos needed help with using a question to help them reword an answer. One word, incomplete responses are no-goes in my classroom and this activity was a fun way to help them answer a question by turning the question into a statement! Think this is something that you could incorporate into your classroom? If so...go have a popping good time, let loose, and pop those balloons!